I may only be 23 years old, but I know exactly what I want to do with my life. I want to change the fashion industry for the better. My bachelor’s degree is in Design & Merchandising which translates loosely into the business-side of the fashion industry. After working in product development in sports apparel, I saw the shortcomings of retail and knew that I couldn’t enter the industry knowing that I would be part of the problem. I am determined to be part of the solution and create a positive impact on the industry. When I joined The Sustainable Innovation MBA program, I knew my direction was always going to be about fashion. I just wasn’t sure which form that would take until I came across the non-profit organization Net Impact. Turns out, they have a specific program dedicated to promoting sustainable fashion called Wear it Wise. I immediately reached out to the program because I knew I had to be involved. As a grad student, I knew this would be a huge opportunity for me to share what I am passionate about on a larger platform. This program is sponsored by Levi’s, Colombia Sportswear Company, and Eileen Fischer. Knowing that these brands are innovators and already making a difference in the sustainability space, I knew that this platform would provide me with more skills and tools to further a cause that I was already passionate about. 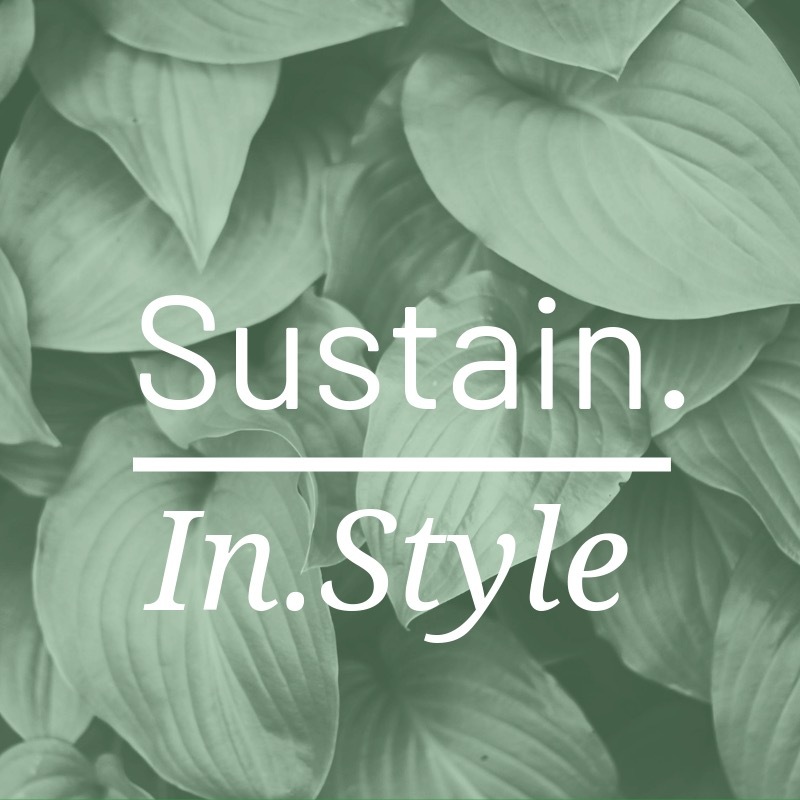 After being accepted into the Wear It Wise program, I started crafting my social media campaign to give people an inside look as to how they can shop more sustainably. My goal throughout this campaign has been to empower the consumer. In my experience, the fashion industry is at a crossroads where the industry is aware of sustainability and knows that it will eventually have to become greener, but it’s still lacking that final push to implement change. I believe that we as consumers carry immense power to vote with our dollar with every purchase we make. We have the power to be this push that retailers need in order to convert to more sustainable practices. I’m excited with the power we have to wear our values and make our impact in the retail industry. Please follow along my journey on social media as I continue to share my passion with all of you and inspire you to make your own impact! At the beginning of the academic year, Finance professor Dr. Chuck Schnitzlein introduced an opportunity for us all to spearhead the first Sustainable Innovation MBA impact investing project. The goal of the project was to show the University of Vermont Treasurer’s office how to build a short-duration fixed income impact portfolio that meets its fiduciary and financial constraints. Given these parameters, our challenge was to build a portfolio comprised of socially and environmentally responsible fixed-income investments that would contribute to making a positive global impact in the areas of our choosing. 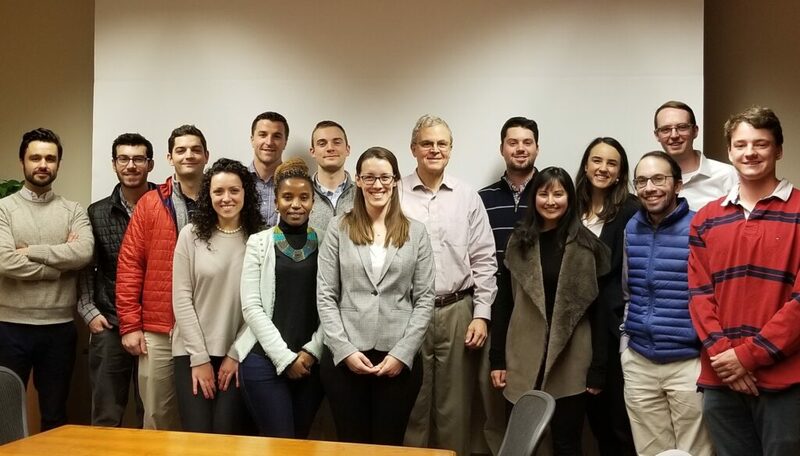 A group of thirteen Sustainable Innovation MBA students* have been working collaboratively to come up with investment criteria to build out this potential portfolio of bonds for consideration. Through working closely with Chuck, the Sustainable and Responsible Investing Advisory Council (SRIAC), and the UVM Treasurer’s Office, we are now positioned to make our recommendations to the investment manager to implement this strategy. Coming into The Sustainable Innovation MBA program, many of us were novices to the emerging field of impact investing. To build our knowledge and immerse ourselves in this new subject, we began organizing and attending weekly learning sessions. Our resources have included articles and research tools, but most significantly, the book The Impact Investor by Jed Emerson, a prominent leader in this field. These resources provided the foundation for our impact investing toolkit that has aided us in determining our impact objectives and screening criteria for the project. Next, we had to learn the tools that investors use to search for and make judgments on assets in real-time. We trained ourselves to use the Bloomberg terminal, a powerful tool for investors in providing access to real-time financial data. Each member of the impact investing team completed the built-in Bloomberg Market Concepts digital learning tutorial, with particular attention focused on fixed income securities to build out our general investing toolkit. While identifying whether each bond under consideration held the financial metrics needed to fulfill the fiduciary obligations required of the portfolio for the University, we also used the ESG terminal function to help objectively measure the non-financial impact that each bond holds. The ESG function provides non-financial Environmental, Social, and Governance metrics for companies and bonds, which proved to be an invaluable tool for our research process. While the whole impact investing team was expected to have a solid understanding the “impact” side of the equation, a subgroup of the team has been taking additional advanced finance classes with Chuck on fixed income investing and portfolio management to master the “investing” side. There, this subgroup has been learning key concepts to help the whole team take the next steps towards building a portfolio that is financially sound and well up to the University’s investing standards. This diversification within our team allows for an overall focus on portfolio impact, while the more specialized subgroup could also incorporate the principles of a financially successful portfolio that was consistent with the investment policy statement and integrated impacted criteria. During our early coursework in The Sustainable Innovation MBA, we learned how many companies have been aligning their business models and sustainability initiatives with the United Nations’ Sustainable Development Goals (SDG). Thus, we wanted to incorporate the concept of impact learned through the program’s curriculum to maximize our portfolio’s impact. As a group, we brainstormed SDGs that were not only important to us but those in which we saw the most potential for global impact. From that list, we selected three SDGs that we determined were best aligned with UVM’s mission and brand image: Clean Water & Sanitation, Affordable & Clean Energy, and Gender Equality. The first SDG we focused on was ensuring the availability and sustainable management of water and sanitation for all. We looked to find issuers who not only decreased their water usage relative to competitors but also considered the ‘usage relative to revenue’, which was found to be a helpful feature of the Bloomberg terminal. Similarly, it was important for us to find issuers who not only were mitigating negative impacts but rather having a positive impact with regard to clean water stewardship efforts. With a number of UVM students intimately connected to Lake Champlain and its surrounding ecosystems, we realize clean water to be a paramount goal of our investment council. The second SDG we focused on was ensuring access to affordable, reliable, sustainable and modern energy for all. We determined that impact within this goal can be derived from companies producing sources of clean, affordable and renewable energy, as well as companies sourcing their energy from renewable providers. Companies that our investment council considers for investing need to be making investments in clean technology and energy efficiency, or investments in affordable energy storage technology. 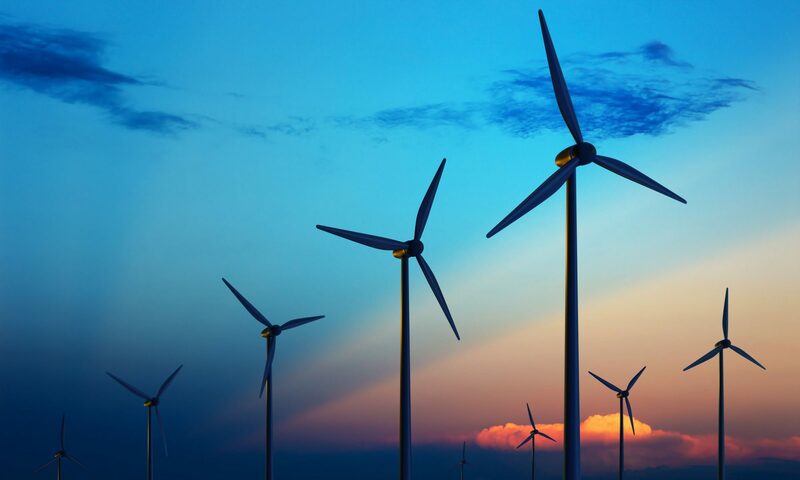 In addition, a company meets our criteria if they have a large green power purchase agreement, or is in a contract to source a majority of their energy from a clean, renewable energy source. The third and final SDG we focused on was achieving gender equality and empowering all women and girls. This SDG was particularly important to our group as many of our group members are part of The Sustainable Innovation MBA Women For Change group on campus. The team developed the following three objective criteria that the corporations offering the bonds should meet for portfolio consideration: female representation in senior management (at least 33%), proven efforts to create equal opportunity for female employee advancement, and women in leadership (CEO, Founder, Chair of the Board). The thirteen of us have learned much through the process of working on this project, and we are grateful for Chuck, SRIAC, and the UVM Treasurer’s Office for the opportunity. This was a completely voluntarily effort outside of the regular class schedule and curriculum of our academic program. We are fortunate to acknowledge that the dedication of time and effort towards this project has rewarded the members of our team with a new degree of fluency in the field of impact investing and perhaps even more rewarding, a feeling of accomplishment for having the potential to make an impact in alignment with the SDGs and UVM. We look forward to taking the next steps with this project and seeing how the recommendations of our team might be utilized by the University and beyond. As we have with this project, we are excited to continue finding new ways to incorporate our learning from each and every subject we are exposed to here in The Sustainable Innovation MBA program, building out our sustainable innovation toolkit even further as we progress into the new year. This post was written by Meryl Schneider ’19. 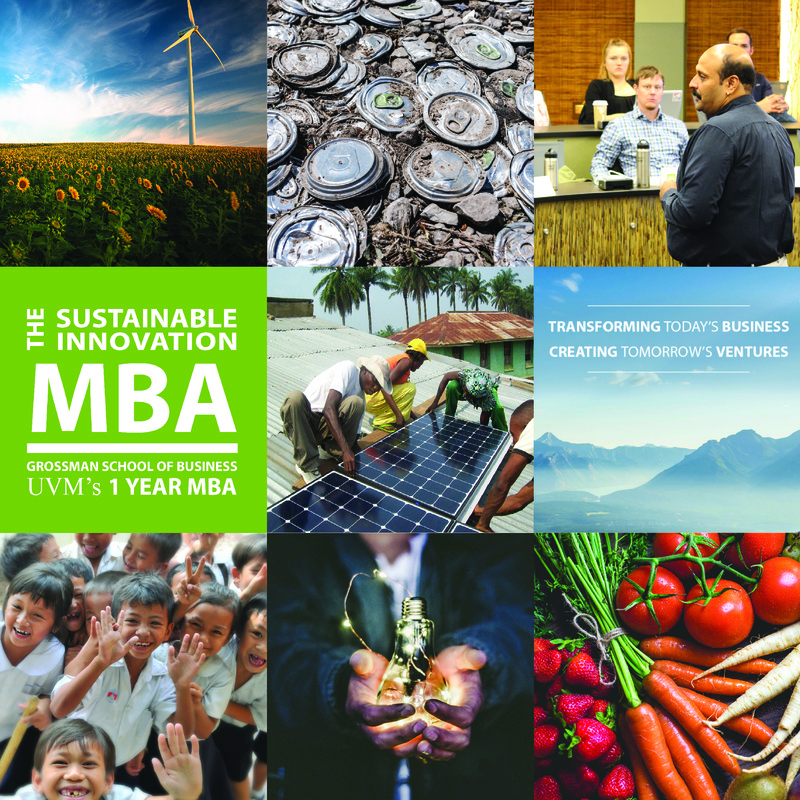 The Sustainable Innovation MBA features various Innovators-in-Residence over the academic year. According to Innovator-in-Residence Dave Stangis, Chief Sustainability Officer at Campbell Soup Company, organizations go through phases when implementing sustainable practices which he called “Sustainability 1.0, 2.0, and 3.0.” Beginning his career at Intel as an Environmental, Health and Safety External Affairs Manager, Stangis’s initial role transformed into Director of Corporate Sustainability where he spearheaded corporate social responsibility and sustainability strategies in response to growing societal concerns of Intel’s environmental, social and economic impact. From there, Stangis’s growing passion for business and sustainability landed him a job at Campbell’s, where he has developed and led the firm’s widely known CSR, ESG and sustainability strategies. Stangis explained the three evolutions of sustainability, beginning with phase one, where most companies find themselves today. In this initial phase, companies focus on reducing costs through eco-efficiencies, risk reduction, and strive to do less harm via environmental stewardship. In phase two, sustainable corporate strategy is respected but can be siloed from the strategy team. Organizations adopt triple bottom line (financial, social, environmental) considerations when evaluating their performance to create greater business value. Phase three sounded like the “ah hah” moment where firms make strategic sustainable business decisions that are imbedded in business strategy and anticipate sustainability challenges instead of reacting to them. Businesses strive to challenge their model in 3.0 with objectives to solve complex social, economic and environmental problems as a product of the business itself. How does Sustainability 3.0 impact Campbell’s and the food industry? For Stangis and Campbell’s, he is undoubtedly striving to be a Sustainability 3.0 company as a major player in the food industry. Stangis argued that ethical and environmental considerations no longer “just” feed into the Campbell’s strategy but are becoming the company’s strategy. As he put it, the potential challenges the food industry is facing are daunting. Climate change is affecting global food systems while the world population is growing at an accelerated rate. Stangis painted the picture for the future of food and how Campbell’s will ultimately predict, adapt, and strategize their business model into evolving into a 3.0 firm. He explained that by utilizing technology, finding long-term resiliency in regenerative agriculture, and by aligning business objectives with the United Nations Sustainable development goals, a company like Campbells will continue to evolve and innovate as the competition for resources intensifies. Stangis embraces the unknown and ultimately understands that disruptive forces are looming. It is how companies choose to react and grow sustainably from the disruption that will count. From solar power to vitamin D fortification, universities are a fundamental source of innovation that advances humanity’s ability to live healthy, sustainable lives. 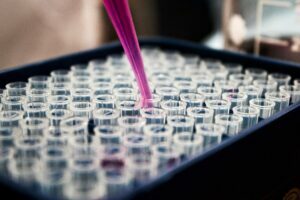 And yet research funding, though it often translates into exciting, new intellectual property, typically doesn’t result in innovations that make it to market and drive impact. Many of UVM’s 13 colleges and schools are at the forefront in their respective fields of research. In 2016, UVM received $138m in outside research funding alone. Much of this funding goes to efforts that align with the ethos of the Grossman School’s Sustainable Innovation MBA program: mitigate agricultural runoff, improve the efficiency of renewable energy generation, and advance access to care and treatment of chronic diseases. It is within this context that The Sustainable Innovation MBA offers a unique opportunity to young professionals seeking to translate innovation into impact. In the initial weeks of our classes, I reached out to Associate Professor and Steven Grossman Endowed Chair in Entrepreneurship Erik Monsen because I wanted to learn more about the technologies under development at UVM. Within days, Erik and I were meeting with Assistant Professor of Civil and Environmental Engineering Dr. Appala Raju Badireddy. Dr. Badireddy and his team are developing a filter technology that can extract elements from wastewater previously thought impossible or cost-prohibitive to extract. Initial conversations with Dr. Badireddy led to a group of Sustainable Innovation MBA students addressing one of the key questions in the technology’s underlying business model. Integrating this work into the Entrepreneurial Business Model class, the team spent eight weeks evaluating markets for captured phosphorous. Beyond making for a rich classroom experience, our work may have real-world application as Dr. Badireddy takes this work from the university to the marketplace. As we move into the latter half of the program and acquire new skills through the our courses, the prospect of continuing to support the success of green technologies like Dr. Badireddy’s filter technology is an exciting one. Perhaps the next great green technology may come from the laboratories of UVM, and perhaps its success may be supported by one of my fellow students. “Across the Fence,” a long-running news program on WCAX here in Vermont, recently profiled The Sustainable Innovation MBA program. The focus was on Professor Erik Monsen’s “Crafting the Entrepreneurial Business Model” course, the highlight of which is a business trade show featuring the students’ ideas for new, disruptive business models. The Cost of Disruption — Loss of Community? Improving efficiency for consumers through digitization is one of the main sources of disruption and innovation within the marketplace. The goal – reduce the amount of time waiting for something or reduce the need to go somewhere for something. I believe this is rooted in a positive notion of improving the convenience of people’s’ lives so they can go about their day in a fashion they so choose. However, it may be time to look at what we are streamlining in order to make life more convenient – community. Losing those small conversations with strangers at the store might make life more streamlined, but the loss may also have the unintended consequence of chipping away at community. It’s never been easier to order goods, food/groceries and socialize without ever leaving one’s home. As a society, we are moving more towards a world where we don’t have to do anything or go anywhere that we do not want to. Yet, according to the Washington Post, the US has consistently fallen in world happiness rankings and currently sits at 18th place. Furthermore, Americans are losing touch with their communities. Pew Research found that only 24% of urban residents know all or most of their neighbors; this is alarming as our society becomes more urbanized. Here we find a paradox. We are more connected and life is more convenient than ever, but somehow, we know less people directly around us and our happiness levels are falling. The question should be asked, are there diminishing returns on efficiency as there are with wealth? What will we do with the extra time gained? Yes, our society went through a similar transition with the rise of big box retailers, but at least we were still going to a physical place to interact with physical people. Now there is no store with people, but a website with a chatbot. One surprising example of a community oriented disruptive technology is Pokemon Go. The technology of augmented reality has upended the mobile gaming industry. Yet, Pokemon Go uses the augmented reality tech to bring gamers together in a physical space as users must make friends and interact with others in order to advance in the game – thus, building community. The game even has a once a month “community day” where users are encouraged to meet up at public parks for several hours and play together. There doesn’t need to be a binary choice between technology and community, but As entrepreneurs and future business leaders we should ask ourselves – will my product or service help build community or chip away at it? As consumers, will we replace our time spent at a post office, grocery store, or restaurant with other time spent building community? 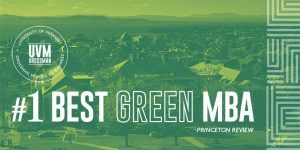 For the second straight year, The Sustainable Innovation MBA has been named the #1 Green MBA in the nation by the Princeton Review. This is a significant recognition for the program and earning it two years in a row is an outstanding achievement. The “Best Green MBA” rankings are based on students’ assessments of how well their school is preparing them in environmental/sustainability and social responsibility issues, and for a career in a green job market. The Sustainable Innovation MBA was also included in The Princeton Review’s list of the 252 Outstanding On-Campus MBA programs. This list was based on data from surveys of 18,400 students attending the schools and of administrators at the graduate schools. Want to change the world with us? Learn more here, and apply here. EDITOR’S NOTE: This article is a collaboration between Cairn Cross of FreshTracks Capital and Diane Abruzzini ’17 of VENTURE.co Holdings, Inc. It is one of a series we will be publishing concurrently with FreshTracks Capital. Cairn Cross co-founded FreshTracks in 2000, and has worked as Managing Partner of the firm since that time. Notable FreshTracks VC investments include SunCommon, Mamava, and Eating Well. Cairn has helped to build a true Vermont entrepreneurial ecosystem by hosting pitch events, accelerator programs, workshops, and teaching at multiple Vermont universities and colleges. He is a former co-chair of The Sustainable Innovation MBA Advisory Board. Diane Abruzzini has built her career as a food and agriculture entrepreneur and business consultant. She was a student of Cairn Cross during her time at UVM’s Sustainable Innovation MBA program. After completing her degree, she spent time working for FreshTracks partners as an analyst. She currently works in marketing and communications at VENTURE.co Holdings Inc, who’s wholly owned subsidiary VENTURE.co Brokerage Services LLC is a FINRA-licensed broker-dealer. The valuation process can be murky for both entrepreneurs and investors. Private company stock is typically a “Level III” asset under ASC Topic 820 and its value “cannot be determined by using observable inputs of measures such as market prices or models.” Fair value is estimated rather than observed through readily observable market prices. Entrepreneurs and investors often disagree on the valuation approach that should be used in a particular transaction. Should one base a private company’s valuation on the comparable metrics for publicly traded companies operating in the same industries, or should one base valuation on the estimated present value of a projected stream of cash flow? If you use public market comparables, which metric is most important to valuation? Revenue? EBITDA? Users? Growth Rate? If estimating the net present value of a stream of cash flow, which discount rate do you choose and are you being too aggressive or conservative in cash flow estimates? Do you arbitrarily choose the mid-growth position? Every entrepreneur, venture capitalist (VC), broker-dealer (BD), and investment bank will use a variety of criteria in order to determine valuation. None of the approaches are perfect–there is no secret sauce–but there are important differences to how VCs and BDs tackle company valuations. On a beautiful autumn day in mid-October — the kind of day Vermont is famous for — the International Academy of Management came to the campus of UVM to host the Global Forum on Sustainable Innovation and Business Transformation. The event, co-hosted by the Grossman School of Business and The Sustainable Innovation MBA program, featured a keynote speech and conversation with Muhtar Kent, chairman of the Coca-Cola Company. Our MBA students also had the opportunity to listen to and network with some of the U.S.’s and Vermont’s most innovative business leaders. Kent, who has made innovation and the transformation of Coca-Cola a vital focus of his time at the helm of one of the world’s most recognizable companies, told the Forum’s 150 attendees that, at Coca Cola, innovation flows from the power of partnerships — that the best ideas are often found on the outside. Kent also made the case that a “golden triangle” of forces — business, government, and social-mission organizations — must come together to solve the world’s most pressing problems. Therefore, he said, business leaders must be master relationship builders. The Forum also featured reflections by three forward-thinking business leaders. Mary Powell, CEO of Green Mountain Power; Brian Griffith, chairman of Griffith Foods; and Joey Bergstein, CEO of Seventh Generation, shared their own personal and organizational stories of transformation and innovation. U.S. Companies in multiple industries seek private capital to kindle a startup or fuel growth. Most entrepreneurs are aware of venture capital and angel investors as target sources of funds – pop culture shows such as Shark Tank and Dragon’s Den, as well as press-earning “unicorn” valuations – have earned ‘Venture Capital’ a spot in layman’s language. Far less understood is the work of investment bankers – particularly those raising capital in the private market. We intend to discuss the differences between raising funding from venture capital firms and raising funding via broker-dealers. We’ll start with some general definitions. A Venture Capital firm is most often a Limited Partnership (LP), managed by a team of General Partners (GPs). General Partners first obtain committed capital from accredited investors or qualified purchasers–Limited Partners–and use these commitments to form a fund. Each fund usually has a defined lifespan and specific industry or geographical focus. Typically, General Partners have full investment decision-making discretion over their Limited Partner funds, the funds have a defined life (typically 10 years) and investments in portfolio companies are made during the “investment period”, which is usually the first two or three years of the fund’s life. VC fund returns are reliant upon the sale of the fund’s stake in portfolio companies to private equity firms, strategic acquirers, or occasionally via an Initial Public Offering (IPO).